Did you know the annual economic impact of the global Equine Industry is $300b? As someone who has been involved with horses for over twenty years I was even surprised by this! I do find it hard to believe that non-horsey folks aren’t aware of how large the Equine Industry is but this figure is still astounding. So, are we losing out because we assume everyone knows about horses? Speaking to Adam, the intern for Equine Business Association, he confirmed horses are an unknown minefield to him. I have my idea of what an outsider thinks of horse owners and those in the industry and to a certain extent I was right. Most people you speak to think that all horse owners are ‘well-off and posh’. Although Adam did say that most he has met have always been friendly and extremely enthusiastic about their passion for ponies. Passion, yes I definitely agree with, but I always assumed people perceived the equine world as quite bitchy, not friendly! There is a perception that it is difficult to break into our world, maybe this is related to the idea that you need lots of money. There are less riding schools now than there have been previously, for adults it’s trickier to get into riding if you haven’t ridden before. My partner would love to learn to ride, but finding a riding school that has horses that are big enough for him to ride and a venue that will do lessons on a weekend is difficult. It comes down to their business, weekends are busy with children and this is where they want to dedicate their time, I understand that. It’s difficult to make a riding school profitable now, with the rise in insurance and running costs, but is this where the industry could be doing more to help those not yet ‘in’ become involved? Adam was surprised that there are so many industries within the equestrian world, the range of niche businesses and by the amount of money that is within the equine sector. From dedicated equine therapists, to the different disciplines in the sport, he wasn’t even aware that we do have our own dedicated shops. If only we had our own supermarkets so we could go out covered in hay and smelling of urine without getting stared at! He thinks we could be doing more to attract people, apart from racing there are no large marketing campaigns for horse riding. The British Horse Society have been working to improve driver’s awareness of horses on the road, there are a range of charities to increase equine welfare, so why shouldn’t businesses encourage the general public’s involvement? If we improve knowledge in general will this not then help with these issues and more? In 2015 there were 1.3 million regular riders, this had fallen from 1.6 million in 2011. The number of younger rides did increase from 2011 to 2015, so what happened to the 25yrs+ riders? Life I expect! But could the increase in younger riders suggest that the industry is growing? So, if you are wanting to grow your business, maybe it’s worth looking to those people who want to get into the industry, give these people a chance to come into our incredible world. Adam Chambers is a historian in the final year of his undergraduate degree at the University of Bristol. After jobs washing dishes, sampling raspberries, and writing blogs, he took the plunge into the world of horses with the Equine Business Association in September 2017. 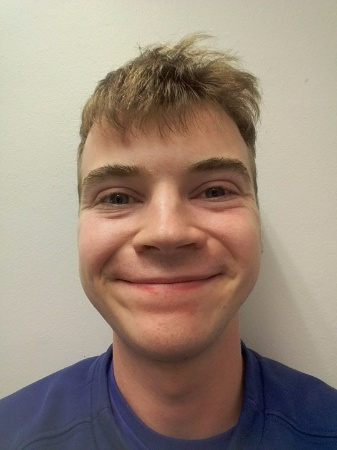 Since joining the association as an intern he has become very interested in the role of tech start ups in making the industry more connected and innovative and has been inspired to start his own social media marketing business, combining his new found passion for tech and his lifetime love of history. In his spare time Adam enjoys learning new languages and cycling around busy Bristol.